SuperMetal are a new brand of high quality British Alloy Wheels that specialise in being independently type approved for vehicles, direct fitment where possible, using the OEM bolts and wheels that fit the OEM centre caps. Stylish designs are available in high quality finishes with satin and gloss lacquers. 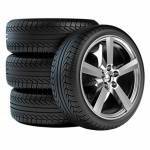 All SuperMetal Alloy Wheels can be supplied with virtually any brand of tyre. Just click through to choose. The whole package will be supplied ready to bolt on to your vehicle however, if you prefer, this can be done at most Carnoisseur Outlets - please contact your local Outlet to find out more.